Born at Guelph, Ontario in June 1864, he was educated at Queen’s University where he received his MA in 1899. He worked in geology in Ontario designing the management of industrial plants before coming to Manitoba. 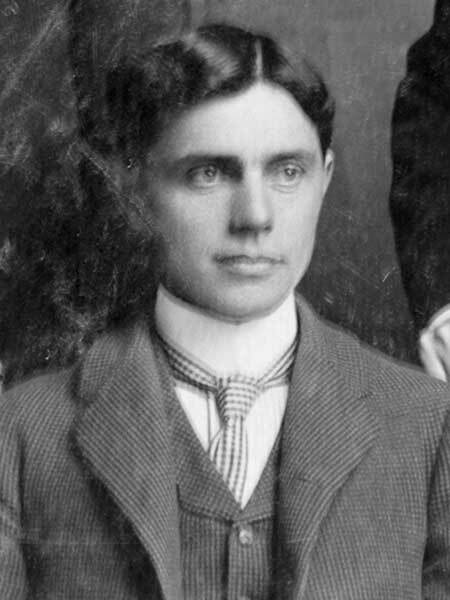 In 1900, he accepted a position as science teacher at Brandon Collegiate Institute. He later moved to Winnipeg to fill a position at Central Collegiate and, in 1912, he was made Principal of the school. In 1914, he was transferred to Kelvin High School where he was Principal until his retirement in 1932. Influential in the teaching of science in Manitoba, he was known to link subject matter with practical applications and, in 1908, he authored the first book in general elementary science used in the province. He and wife Mary Charlton had two children: Mary Isabel Hodgson (b 1907, wife of Mr. Skene) and George Charlton Hodgson (b 1911). He died at his Winnipeg home, 750 Westminster Avenue, on 10 March 1950 and was buried in Elmwood Cemetery. We thank Daly House Museum for providing additional information used here.